Jo Brand once said that “anything is good if it’s made of chocolate” and while I wholeheartedly agree with her one this one it got me thinking, how exactly is chocolate made? According to the results of one online survey conducted by Datamonitor, the average Briton demolished 24.7lbs of chocolate in 2012 (which is the equivalent of 266 Mars bars). In total, as a nation, we consumed 661 million kilograms of the stuff; which not only puts us at the top of the league table in terms of cocoa-based consumption within Europe (woo hoo, we are good at something then! ), but demonstrates we have a soft spot for chocolatey goodness. So, given our intense love of all things covered in chocolate it’s safe to assume we know precisely how our favourite snack is made. Well settle down with a bar of something delicious and I shall take you on a whirlwind tour of chocolate production. Chocolate is grown in a magical place called Chocolate Land … OK, so that’s not strictly true. Chocolate is actually made from cocoa beans (technically a fruit, which surely contributes towards your five a day), which grow on cocoa trees. The trees themselves only flourish within 10 and 15 degrees either side of the equator, with the largest producers of chocolate being the Ivory Coast, Ghana, Indonesia and Brazil. The first step in chocolate production is the harvesting of the cocoa pods from the trees which contain the cocoa beans. The pods are then crushed, the beans and surrounding pulp is then extracted and left to dry out in the open under the loving gaze of the sun for approximately 7 days. The finest chocolate (you know, the really good stuff you wish your boyfriend would buy you for Valentine’s Day) is made when the beans are allowed to dry naturally for a longer period of time. The inferior quality chocolate (you know, the stuff your boyfriend usually buys you for Valentine’s Day because it’s the only thing left on the shelf by the time he gets round to it) usually reserved for mass produced products comes from cocoa beans that is artificially dried to speed up the process. The dried cocoa beans are then graded and cleaned in preparation for roasting. The length of time needed for roasting varies depending on the size of the beans. Beans are roasted at different temperatures depending on the desired outcome, for example, the higher the temperature the more the bitter the end result, which can mean more sugar is needed to balance the overall taste. This process is particularly common within the United States, whereas in Europe beans are roasted at a lower temperature for a longer time period, resulting in a richer flavour with a lower reliance on sugar. Which ultimately means European chocolate tastes better and is healthier for you! Everyone’s a winner. The roasted beans are then subjected to a bit of light crushing (the technical term for this is adorably known as “kibbling”), which separates the nib from the shell or husk (much like shelling a nut). The kibbled nibs (seriously, you couldn’t make this up) are then ground to make cocoa mass (sometimes referred to as liquor because they are liquefied). This mass is then allowed to cool and solidify at which point sugar is added and the mixture is then kneaded to form a dough. This doughy mixture is then “conched” to create a smoother texture. Essentially, the dough is beaten with conch/seashell shaped paddles (hence the name), and the friction from the paddles create heat which melts the combined mixture into a liquid. The quality of the resulting chocolate is determined by the length of time it is allowed to conch for (modern technology allows this process to be completed within eight to ten hours; however, good chocolate used to take four or five days to conch properly!). 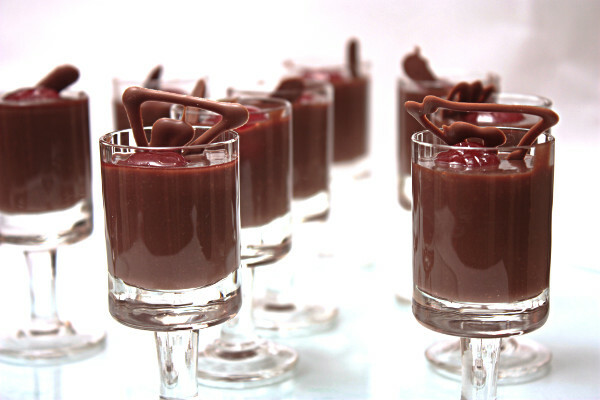 The end product is a liquid chocolate which can be stored and shipped, then formed and moulded into whatever shape is desired. Just as there are many different types of chocolate eaters, there are different types of chocolate, although admittedly there are only three main varieties. Different chocolate, for example, dark, milk and white are all produced in slightly different ways. Dark chocolate is he most aromatic of the chocolates and contains the largest amount of cocoa solids compared to its chocolatey peers (the minimum amount is 35% and it can reach the heady heaights of 99%). Milk chocolate, your childhood favourite, is essentially dark chocolate with a cunning secret ingredient – milk. OK, so it’s not that cunning, or that secret! The addition of milk to the conching process creates a milder and smoother, creamier taste. During the creation of white chocolate only the cocoa butter is extracted from the beans after roasting. This is the added to milk, sugar, and vanilla to create that gorgeous taste from heaven.